Our Wilmington bespoke range oak twin pedestal dining table with a set of ladderback country chairs, custom upholstered in full aniline leather. 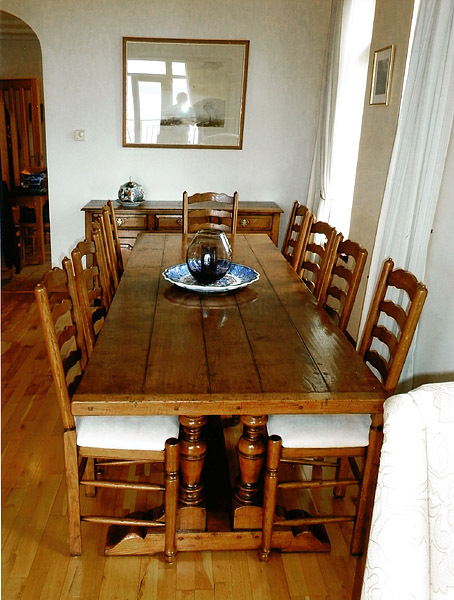 Photograph kindly taken by our client, in their home on the north Scottish coast. Yes, we deliver that far!